With the start of IMO 2020 less than 11 months away, the International Chamber of Shipping (ICS) today called on bunker suppliers and shipowners to each play their part in making the new global sulfur cap a success. 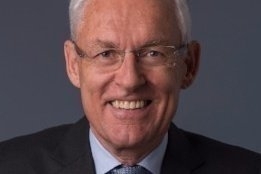 "While fuel suppliers must play their part in providing sufficient quantities of safe and compliant low sulphur fuels, shipowners must urgently prepare their ship specific implementation plans for 2020," said Chairman Esben Poulsson. "This should be carried out using the IMO template adopted at the industry's request and the detailed advice prepared by ICS which we have just updated to take account of other recent IMO decisions. This will be vital to reduce the possibility of teething problems or in the event of initial Port State Control difficulties due to factors beyond the shipowner's control." But there is also work still to be done, ICS said, including by IMO to address uncertainty over the availability and safety of compliant fuels in every port. IMO 2020 is also just the start of more profound changes to come as part of a multi-fuel future that will soon welcome the first commercially and globally viable zero CO2 fuels, Poulsson added. "Over the next decade we are therefore going to require massive investment in research and development of zero CO2 emitting propulsion systems and other technologies which don't yet exist in a form that can be readily applied to international shipping, especially in deep sea trades," he said. "This will need to be a key component of the IMO strategy when detailed ideas for long term measures are taken forward during 2020."